Bacteria harms your mouth, there is no doubt about that. So what should you do to make sure there is as little bacteria in your mouth as possible? Consistently keeping your mouth clean through brushing and flossing helps, but there is more to keeping your mouth free from bacteria than that. You need to go through and make sure there are no pockets in your mouth that could be harboring more bacteria, as that could be causing decay where you couldn't even see it. Step one in keeping your mouth bacteria-free is brushing at least two times each day and flossing at least one time each day, the right way. If you are not sure what the right way is, ask your dentist to show you. Step two is making your regular dental appointments every six months. This allows your dentist to check your mouth for anywhere bacteria could be hiding. Step three is making sure that each day, you scrape the bacteria off of your tongue so that it cannot sit against your teeth and rot them right out from under you. Step four is making sure that the main beverage you drink each day is water, as that washes away more bacteria than anything else you could drink. Finally, step five is limiting the amount of sugar you consume, because sugar is the favorite food of bacteria. 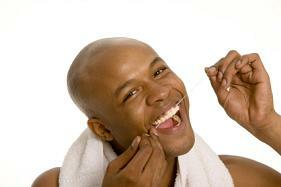 Keeping up with your oral health may seem daunting at times, but it is very important. Take the few minutes each morning and each night to ensure that you are keeping your smile looking great by getting all of the extra bacteria out of your mouth that you possibly can. This will help you prevent decay, and keep your teeth as healthy as possible.